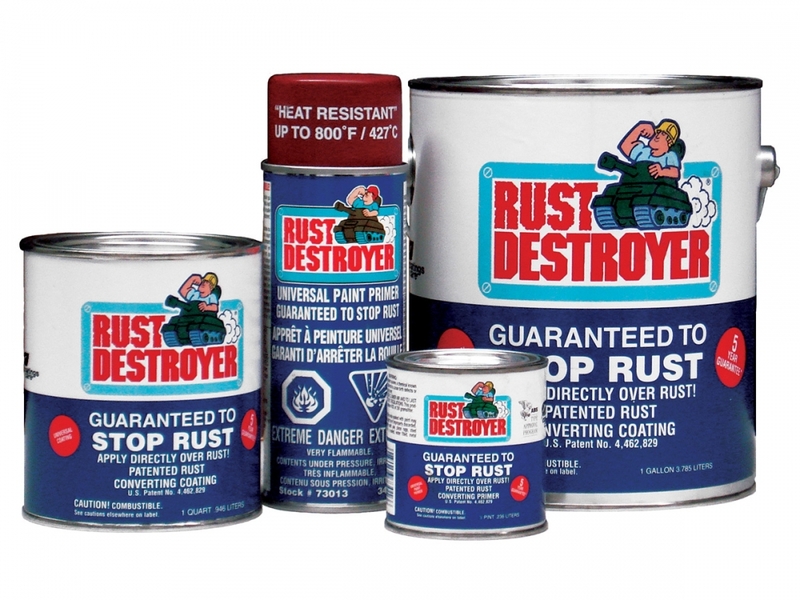 Rust Destroyer is a patented primer engineered to be applied directly over rusted metal, rusted painted metal, bare metal, galvanized metal, aluminum, tine and core tan steel. it converts active rust to a passive form on contact. An absorbing action in the primer film simultaneously raising the rust from the surface and enveloping all converted crystals in the primer, eliminating exposure to oxygen and moisture, which will prevent further rusting. It forms a tough synthetic shield that adheres to all paints and provides a continuous protection layer. Patented primer engineered to be applied directly over rust. Rust Destroyer is distributed in Canada by NLS Products.